Soundway is a terrific UK label that has been behind some of the best reissues of 1970s African music of recent years. The various Nigeria Special compilations are all theirs, as are the Ghana Special and Ghana Soundz discs and the terrific Sir Victor Uwaifo best-of, Guitar-Boy Superstar. They’ve also produced some terrific compilations gathering rare Colombian salsa and pre-salsa tracks. The record consists of only six tracks, the longest of which (at 11 minutes) is the title track. Things start unpromisingly, with “Brothers and Sisters,” a painfully repetitive clavinet loop with eventual saxophone. It’s only five minutes long, but feels ten times that. The second piece, “The Quest,” is a little better, an eight-minute slab of mid-paced Afrobeat with some decent, but not fervid, soloing from Okonkwo. The five-minute “Slave March” is a keyboard duet with a little bit of percussion and a dubby bass line; as its title suggests, it crawls along. The second half of the record launches with the epic title track. “Black Goddess” is a mammoth Afrobeat epic, jazzier than Fela‘s work, but with a hard, undeniable groove. Up next is “The Quest (Piano Solo),” a spacy, synth version of the same melody heard in Track Two. At times it sounds like a video game soundtrack, while at other times it recalls Alice Coltrane‘s explorations of the electric organ. The album concludes with the two-minute “The Warrior,” which is little more than a percussion loop, of no use to anyone not in search of a sample. I love Afrobeat, as well as pretty much everything else I’ve heard from ’70s Africa. I saw Fela Kuti live, just over 20 years ago, and consider myself extremely privileged to have done so. 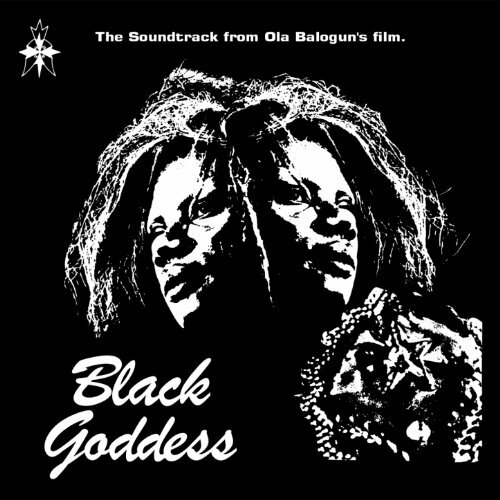 But while the Black Goddess soundtrack is an interesting artifact, and has its moments, those in search of some mind-blowing secret masterpiece of African jazz-funk will probably find this ultimately disappointing. Perhaps paired with a DVD of the movie, this would be a more compelling document than it is.